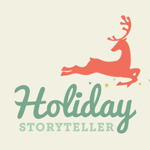 Holiday Storyteller: Sign Up FREE! I’m taking a little break (a very, very little one, I promise!) from creating my 2014 calendars to introduce you to Holiday Storyteller, a FREE e-course that I’ve collaborated on with 26 other scrapbookers and that is brought to you by Simple Scrapper. Are you filled to the brim with holiday spirit? But, do you also get overwhelmed and lose momentum for holiday scrapbooking projects? Holiday Storyteller will help you stay inspired to scrapbook the season’s best stories and follow through with your projects. I was thrilled this week when the book I worked so hard on with Jennifer Wilson (of SimpleScrapper) and Lynnette Penacho came in the mail! It has been a while since I posted something here, but not because I haven’t been busy. I’ve been working away on a new project: editing an inspiring new scrapbooking ebook for my friend, simplescrapper.com’s Jennifer S. Wilson. This amazing ebook has over 30 articles written by all the top scrappers (paper AND digital) in the industry! As I’ve been reading each submission, I’ve been SO INSPIRED to scrap again! Everyday Storyteller Trailer from Simple Scrapper on Vimeo. Amazing, right? Trust me, you’ll love all the ideas, information and inspiration in this packed idea book! 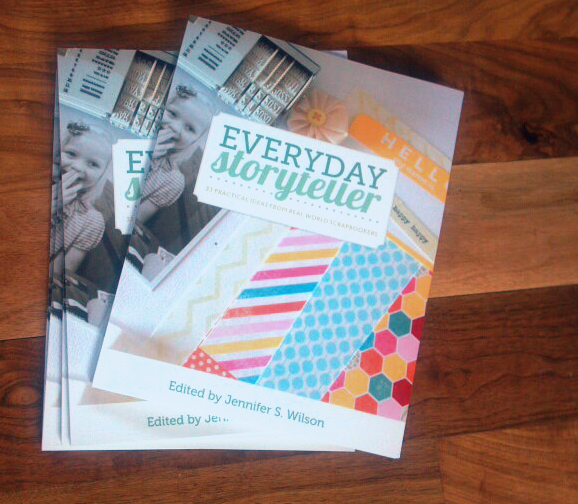 From taking amazing photographs and building mini books from memorabilia to finding time to scrap, writing journaling from the heart and working with wet media, Everyday Storyteller has everything you need to get scrapping, enjoy the scrapbooking process and try new techniques and projects. This jam-packed eBook launches on International Scrapbook Day (May 4, 2012) and to celebrate there will be a huge launch party with fantastic prizes! Sign up now to get all the details HERE. And click HERE to see the list of contributors. So, sign up now to be an Everyday Storyteller VIP! It’s free and easy! And, get ready to be inspired by Everyday Storyteller! I’ve been so busy working on printables for you that I forgot to let you know the latest issue of the FREE DST Insider is ready for you to read! 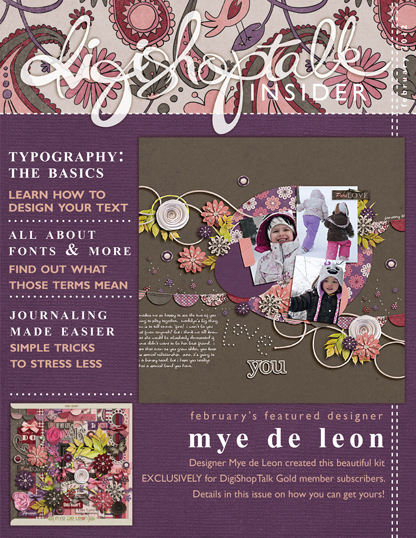 I love working with the DST Insider staff to bring you great up-to-date digital-scrapbooking content every month! This FREE online digital-scrapbooking magazine is packed with tips, tutorials and articles to help you learn to scrapbook the digital way or to inspire you if you’re a paper scrapper. From beginners to advanced digital scrapbookers, you’ll find some great information and inspiration within this month’s issue of the DST Insider. 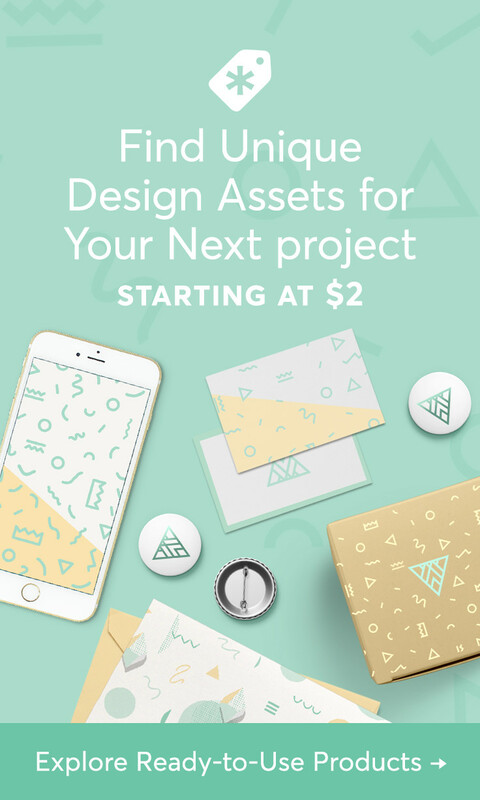 And don’t miss the free kit download from Wyld Web Design here. Next month’s Insider is shaping up to be amazing! Watch for it around March 1! Have you read January’s DST Insider, yet? Learn all about scrapbook page design inside! Our newly published issue of the DST (digishoptalk.com) Insider is amazing (and always free)! If you’re a digital scrapbooker, paper scrapbooker or want to learn more about these fun hobbies, you need to read our January issue of this online magazine. This month, we have articles and features focused on page and layout design. And although we cater to digital scrapbookers, paper scrapbookers can benefit from learning how to put together an effective page–and this issue is packed with tips, tricks and resources all dedicated to page design. 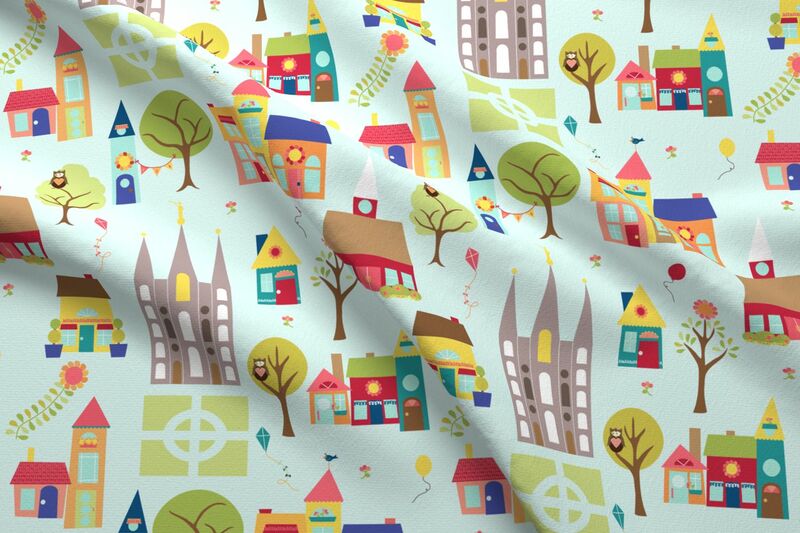 And, of course, we have a wonderful digital scrapbooking kit freebie download, too! (Thanks, JennCK!) 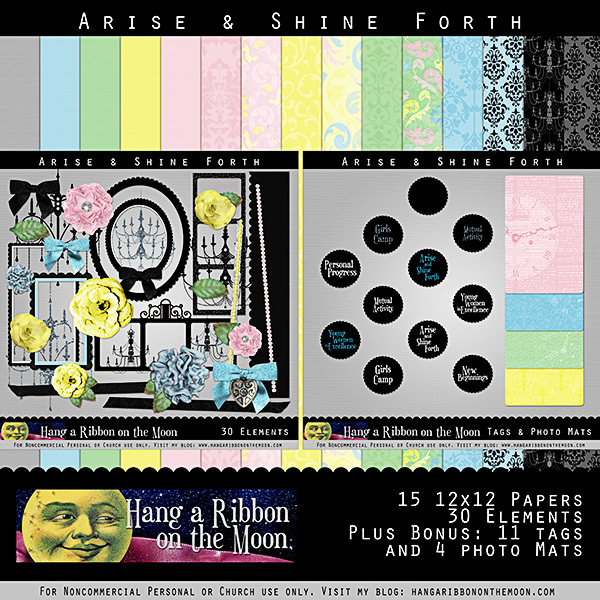 If you like digital-scrapbooking kits, why not enter the Golden Ticket Challenge–you could win TWELVE full digital kits (one per month for a year) and a Gold Membership to digishoptalk.com. 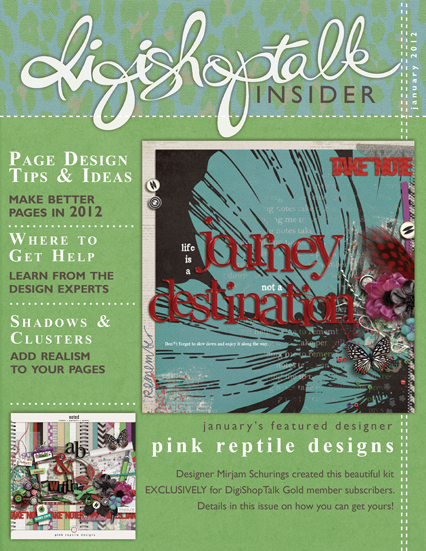 So, if you want to improve your scrap skills or get a little inspiration, read the January DST Insider.